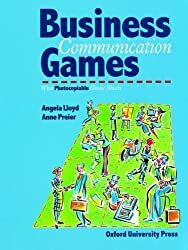 [share_ebook] The Business Communication Games: Photocopiable Games and Activities for Students of English for Business | Free eBooks Download - EBOOKEE! Posted on 2011-12-29, by mylife. No comments for "[share_ebook] The Business Communication Games: Photocopiable Games and Activities for Students of English for Business".